Undertaking improvement projects is one thing, making them work and actually realizing the benefits is another. Business management discipline means consistency of the improvement. We realize cost savings and delivery improvements only if you end up with happier customers, greater profits and potentially winning new business. if you want your improvement projects to deliver you must absolutely value the consistency of the improvement. Improve your company's on time delivery with this proven system. When you develop your routines you base them on the processes of your business, essentially putting your business at ‘cause’, with your results being the ‘effect’. Managing the processes of your business gives you an improved degree of control and can easily be reflected by the process performance indicators (KPIs) that you choose to use. Ensuring that your business management discipline executes the improvements sometimes becomes a really difficult aspect of achieving the planned results. There are many ways to do this, from visual management, reports, KPIs, to short daily meetings. Once we make an improvement, it needs to find its way into someone’s day to day responsibilities. We need to make sure it happens the way we planned it to happen. This obviously leads us into Continuous Improvement, but we can never relax the need to ensure that the right things happen at the right time. 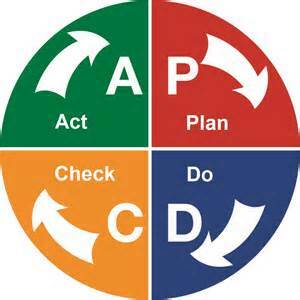 If you are unfamiliar with PDCA then you will find it among the general 'Continuous Improvement' literature. PDCA is also known as the Deming cycle and it also leads us to why so many projects fail. Many projects fail because we don't CHECKed for their ability to meet their objectives and we don't carry out subsequent appropriate ACTions. 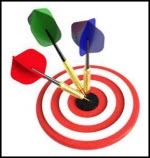 When we check our results, we can work out a better plan to achieve our objectives. When we reached our current objective then we need to consider how to properly close out the project. This could be standard operating instructions, a handover to another department, scheduling a time to revisit and improve, or something else. it delivers the right changes. PDCA can help with this. Business Management Discipline is more than just a series of techniques. It includes the ability to lead projects through the business. This means engaging with the people in the business affected by the changes, or making the changes happen. Strong consistent communication needs to take place as projects don't happen on their own, and people like to know the project's status. 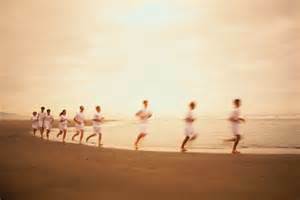 The personalities involved with any project change the dynamic. Because of this the people who you choose to manage and lead a change program needs to be right for the needs of your business.